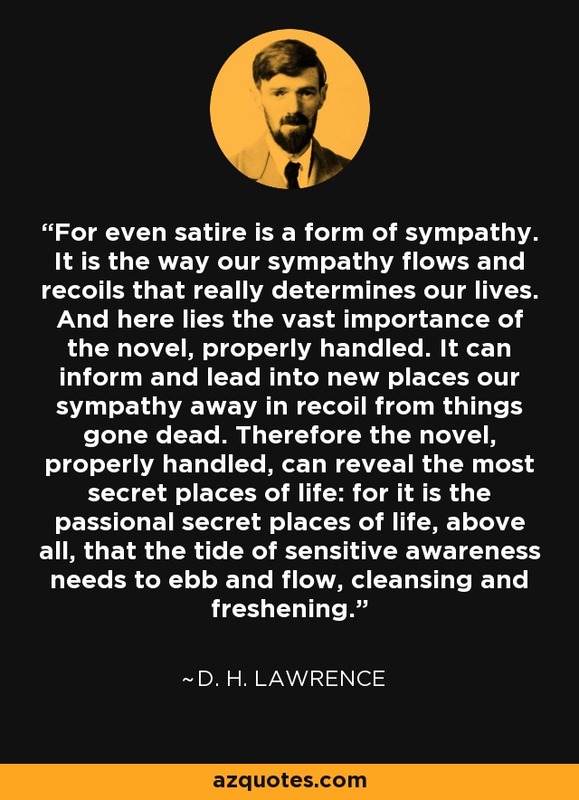 For even satire is a form of sympathy. It is the way our sympathy flows and recoils that really determines our lives. And here lies the vast importance of the novel, properly handled. It can inform and lead into new places our sympathy away in recoil from things gone dead. Therefore the novel, properly handled, can reveal the most secret places of life: for it is the passional secret places of life, above all, that the tide of sensitive awareness needs to ebb and flow, cleansing and freshening.